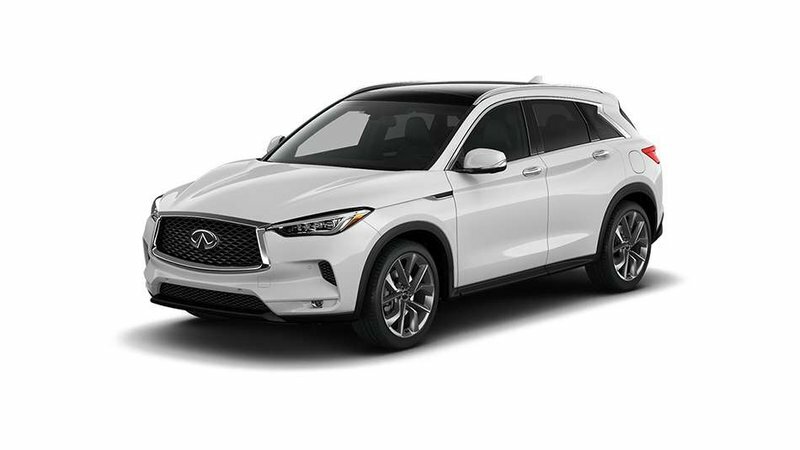 2019 QX50 Sensory 2.0t All-Wheel Drive with Lunar White exterior and Graphite semi-aniline leather seating! An all-new model for 2019, this premium SUV has world-first technologies, stand-out design and unrivalled interior space. 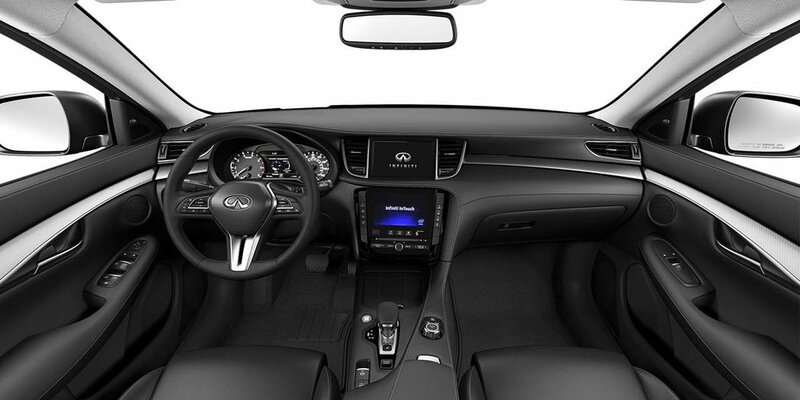 The Sensory package adds climate control seats, 20” dark tinted wheels with run-flat tires, unique cube design LED headlamps, motion activated liftgate, BOSE Premium Series 16 speakers, and more!